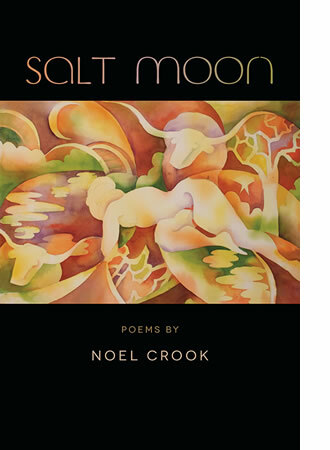 Publisher's Description: Throughout Salt Moon, Noel Crook forges the kind of tragic vision Howard Nemerov described as the mark of our finest poets: Drawing on myth and memory, Crook’s fierce lyrics reveal a world that is at once “hopeless and beautiful…giving equal emphasis to both words.” Sacrifice and betrayal, parental love and patricide, unleashed desire and cornered despair—these antitheses fuel Crook’s Ovidian imagination, which ranges freely from Comanche raids in Texas to a slave plantation in North Carolina, from a carpet maker in Istanbul to the beggars in Delhi, from her daughter’s hospital room to the war in Iraq. Rendered in instantly unforgettable images, Salt Moon is that rare book which grows richer with each reading. Read more information from Southern Illinois Press.